Departed on Jan. 3, 2008 and resided in Logan, UT. Dale Clifford Rogers death on January 3, 2008, at Intermountain Medical Center, Murray Utah due to heart failure, cut short his dreams, hopes and ambitions in this mortal life. Dale was born May 19, 1958 in Covina, California and placed into the arms of his loving parents, Mary and Dean Rogers. He graduated from Logan High School in 1976, where he was a member of their R.O.T.C. unit. Knowledge and the desire to obtain as much as he could drove him to be constantly searching for more and using it daily in his quest to be as great and unique as shown through as he waded through life’s battles. His spirit was meek, his heart was huge, and his love was as big as his dreams. He was raised in Logan where he held several jobs, including the sanitation department for Logan City. Dale took Barbara Abel’s hand in marriage on June 10 1977. Their union produced four outstanding boys, three grandchildren and one on the way. His childhood activities in scouting led him to develop his love for the outdoors. He was an avid down hill skier, hunter and fisherman. When he wasn’t with one or all of his boys, a friend or alone out on the water, fishing, or roughing it up on camping, you could find him with his family enjoying a football game, reading the newspaper, throwing a baseball, kicking a soccer ball, or up and down the sidelines watching as his sons played soccer and baseball. 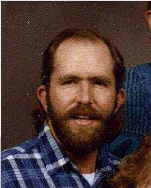 Dale was preceded in death by his older brother, Larry Rogers (Mary), and his grandparents. He is survived by his parents, Mary and Dean Rogers, Logan; four children, Joshua Dale (Lindsay), Preston, Derick Dean (Mandi), Smithfield, Benjamin Todd, Logan, and Russell “Alex,” Smithfield; one sister, Marianne Garrett, Idaho Falls, and three grandchildren, Savanna, Braxton, Courtney, and Skyah (on the way); and many nieces and nephews. Funeral services will be held at 11:00 a.m. on Tuesday, January 8, 2008, at Nelson Funeral Home, 162 East 400 North, Logan. A viewing will be held from 9:00 to 10:30 a.m. prior to services. Friends and family are welcome to come to celebrate his life and share his legacy. Online condolences may be extended at www.nelsonfuneralhome.com.